BEAM Pieces is a BEAM Reference Library site. There are a bunch of parts which are handy for building your 'bot, but didn't really fit into any of the previous pages' categories. Sockets keep you from accidentally overheating ICs during soldering (you solder to the socket, and plug the IC in later). Sockets allow for easy replacement of ICs if you "let the smoke out" of one. 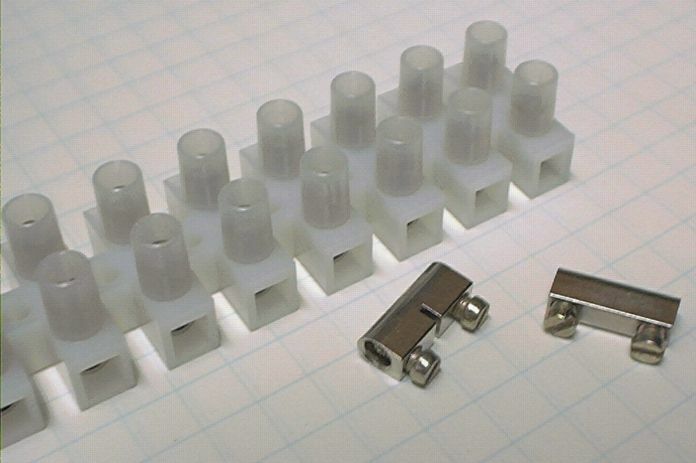 Sockets are cheap (they only cost a few cents each). Note that you can avoid the clutter of noise-filtering capacitors (between Vcc and ground legs of your ICs) if you buy IC sockets with power filtering capacitors built in (tho' filtering sockets cost about $2 US each, vs. a few cents for "plain" sockets). 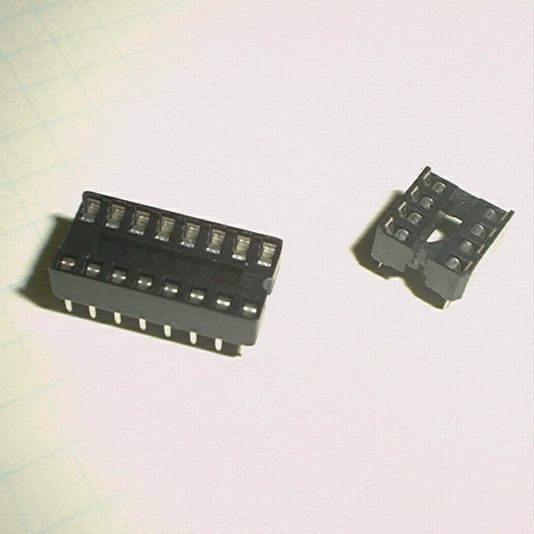 These allow you to "roll your own" ICs; I use 8-pin headers as "plugs" (and 8-pin IC sockets as the "jacks") whenever I use small cables to interconnect various parts of a 'bot. These make great hinges for small robot legs. 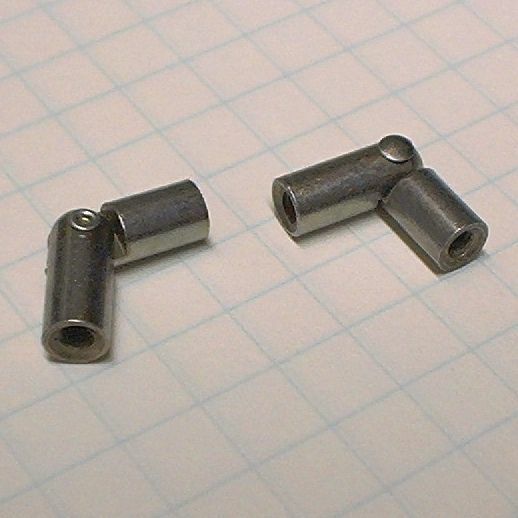 These can be tough to find, but yield nifty little metal parts that provide a great way to mount legs to a variety of motors via either solder or epoxy. These are my preferred way of mounting legs to walkers -- the metal bits have two screws, so they're great for attaching two separate legs to a motor (makes assembly easier). If you're in the U.S., Radio Shack sells these under the name "European style junction strips" (in two sizes, "regular," and "jumbo" -- I use the "regular" ones). Occasionally I either bugger up the screw head, or need more torque when tightening it -- you can replace these screws (for the "regular" strips, anyway) with 3mm screws with a head of your choosing (I prefer an "Allen" style for really high torque capability). You can find these in most electronics stores; as with the junction strips, these yield a little metal part that is good for mounting legs to motor shafts. Note the single "tightening" screw; you need to either solder / epoxy a pair of legs to this metal bit (and then use the screw to "grab" the motor shaft), or else solder / epoxy this metal bit to your motor shaft (and then use the screw to "grab" a single leg assembly).